Major population in Orissa is tribal. The number of tribes that reside in Orissa is the highest anywhere in India. It accounts about 22.21% of the total population of the state. All the districts of Orissa have a tribal population in it. While some regions have huge presence of tribals, some have only a handful of tribals. Koraput, Rayagada, Kalahandi, Naurangpur and Malkangiri are few districts where more than half of the population is tribal. In Orissa, few tribes are in a better economic position and are well mixed up in the society, whereas there are many that lead a completely secluded life. They are also the most backward in the economic ladder of Orissa. Different tribes have different culture, traditions, language and rituals. This enables a tourist to get an insight into many different cultures at the same time. The tribes that are living in developed areas sometimes get influenced by the western styles of lifestyle and alter their traditions and rituals. However tribes in completely cut off areas still preserve their age old customs. their craftsmanship is given the chance to showcase in the various parts of the state. exhibition ground behind the Ram Mandir in satyanagar is well known for their exhibitions. govt. of odisha always takes promotive steps to enhance their showcases and craftsmanship. There are 62 tribal communities residing in Orissa today. They are scattered to all parts of the Orissa. 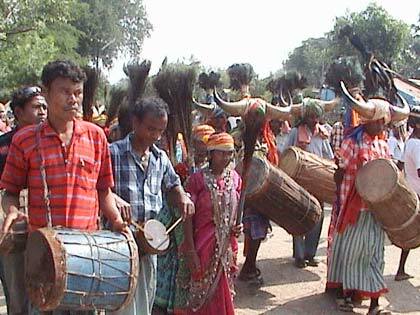 The major tribes of the state are Kondhs, Koyas, Gadabas, Oraon, Juangs, Santals and bondas. According to the language, the tribes are divided into four groups, Indo-Aryan group, Dravidian group, Tibeto-Burmese group and Austric group. 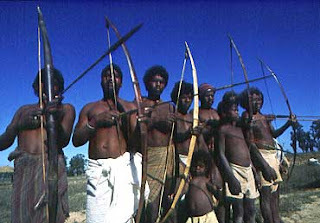 Tribes belonging to Tibeto-Burmese group no more stay in Orissa, thus all the tribes belong to the other three groups. Tribal people of Orissa are known to be immensely hardworking and lead a very subdued life. Various tribes engage in different occupation, but most are either into agriculture, fishing or hunting. Better settled tribes also work in mills and handicraft industries. Few tribes like Bondo and Gadaba have their own looms and make clothes for their own use. these tribes are very famous for their craftsmanship in the state. they are uplifted by the govt. of orissa in various ways. tribal museum infront of the crp square bhubaneswar has been opened for them. Men generally wear loin clothes whereas women wear a lengthy cloth material that they wrap around themselves. Women of few tribes also wear a scarf on their head. 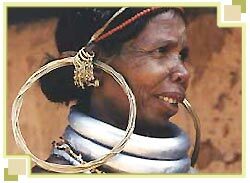 Almost all women wear ornaments, bracelets, necklaces made of aluminum and brass. Girls above the age of 5 are seen with tattoos on their faces. Even though culture of few tribes have been influenced by outside traditions, but most of the tribes have taken great care that they retain their age old rituals and customs. Art and crafts, songs, dances and the festivals are the most visible form of their culture. Almost all the celebrations are accompanied by song and colorful dances. Birth, marriage and death are personal occasions and are kept within the family. And occasion related to harvesting and hunting are celebrated as a community with huge enthusiasm and festivities. The way people of Orissa tribes spend their lives is something that teaches us how to live a lot with little. Many areas that are inhabited by the tribes lack even the basic necessities, but their lives still feel complete. Although now with the development of the state, facilities are reaching to these people as well.